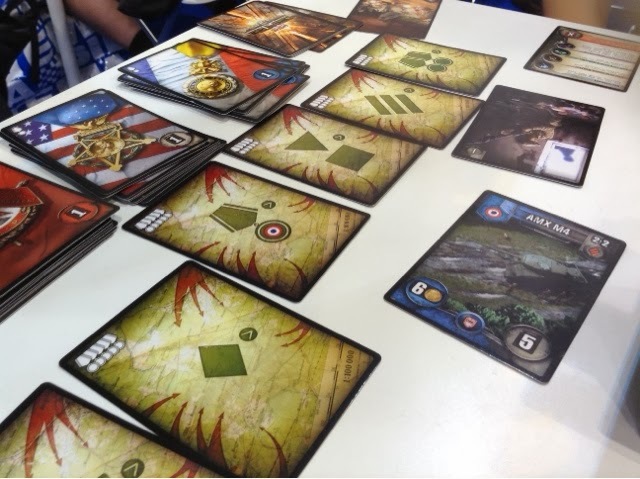 WoTR is a deck building game similar to Ascension and Marvel Legendary where there is a row of cards available for purchase at the middle of the table. 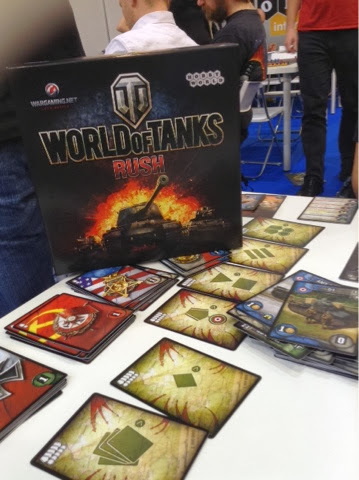 Players are trying to buy tanks to defend their bases from attacks and to destroy the opponents' bases for points. Each destroyed tank is worth one point, each destroyed base three points, and each achievement obtained is worth 5 points. The achievements are drawn at the beginning of the game and are up for grabs for all players. They can be obtained by having the most of one type of tank at the end of the game, or by having certain types of medals ( which are also points ). 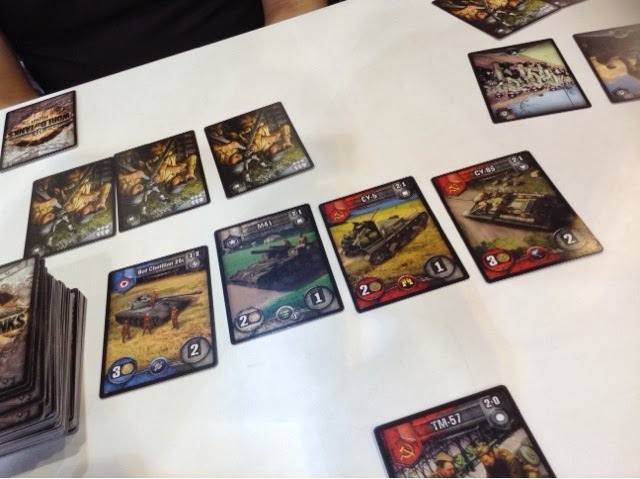 Players may do three things with a card ( of which each turn they draw three ). They may use the card as money for a purchase, or they may use it for its ability and subsequently use it for defense, and lastly they may use it to launch an attack. All this sounds fun and dandy but honestly the game only had a whole bunch of promise but no delivery. The tanks only have 2 values for either attack or defense, and that is 1 or 2. And a hand size of 3 cards is very very restrictive and we had cases where 2 players had to forfeit two turns with nothing to do at no fault of their own. The cards they drew had low purchasing power and the cards on the table where too expensive. I was having some hope for this to be a decent game. It had a small box which would be easy to bring back but man, what a total waste. We didn't finish our demo and left after 30 mins. Other Thoughts: lovely art though. Very fitting for a tank game.